was at home with brothers when craving for something chicken-ny arrived. Persuaded bro to go buy and voila! 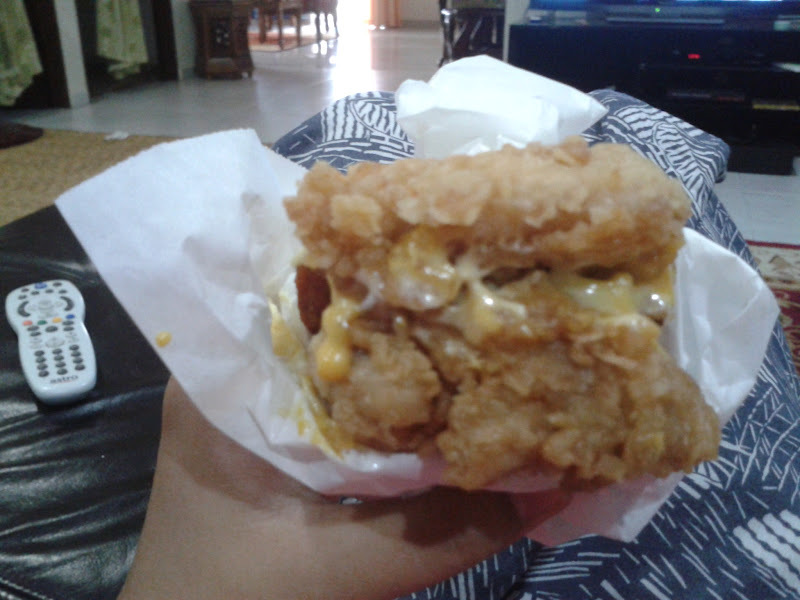 Gobbled down in seconds but I didnt finish the whole burger Why? 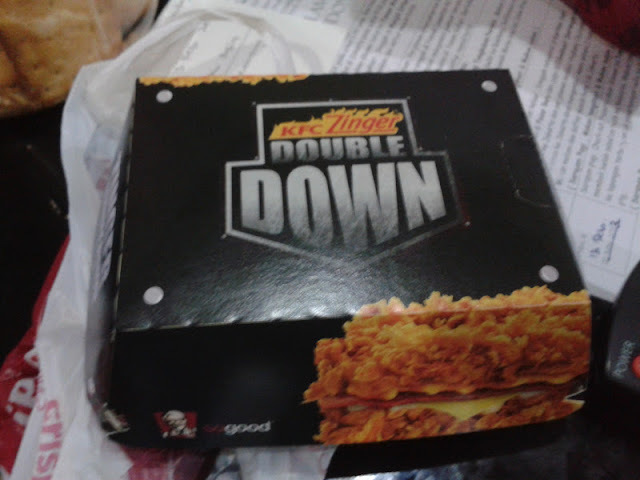 I felt so guilty towards my body. I ate too much at a wedding reception today, now with this...it's heartbreaking. But seriously, the taste is da - bomb!